"The Apocalypse" Zephyr Cove Beach, Nv. I captured this image during December of 2012. The Mayan calendar had predicted the end of an era and the beginning of a new one in December of 2012, hence the name “The Apocalypse”. I thought this might be it. ☺ Mt Tallac is the mountain on the left with Emerald Bay located just to the left of the highest peak to the right of where the sun is setting. It isn't often you ever see the yellow and purple colors reflected in the clouds and on the water. 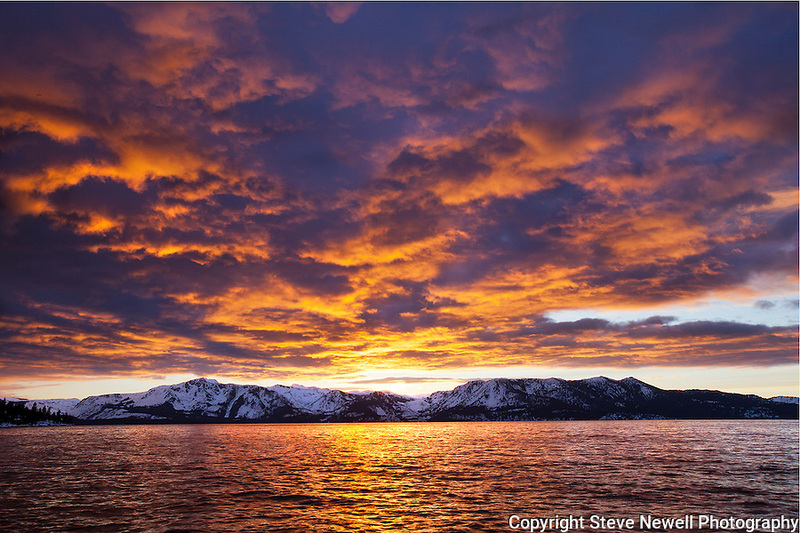 This one of my three favorite sunset photographs I have of Lake Tahoe.